This book was an ARC given to me by NetGalley in return for an honest review. This book was a pleasant surprise to read and I enjoyed it much more than I thought I would. The characters were robust and while the story may have had a flaw or hole here and there, it was one of those books I love to curl up and read on a cold weekend. 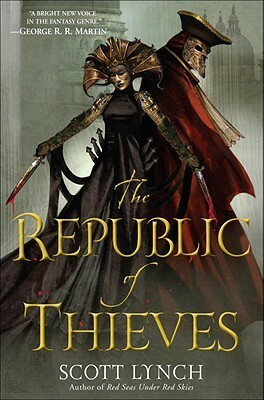 The book is about Maegwin, who is facing trial for killing a handful of men who first killed a bunch of her friends. These friends were priestesses of Sho-La, and now she is the last one. Along the way she meets up with Rovann, who becomes a really important part of her journey. Without giving too much of the main story away, I will say it follows the typical good vs. evil plot, and it tends to be quite predictable but I had no issue with that. It kept me wanting more the entire time I read it and that is never a bad thing. 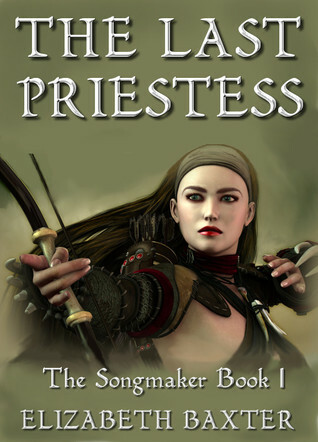 If you’re looking for an ultra casual page turner that doesn’t have you trying to figure out what the writer is describing, I would highly suggest giving The Last Priestess a read. A thank you first to NetGalley who provided me with a copy of this book in return for an honest review. After reading both The Lies of Locke Lamora and Red Seas Under Red Skies (Gentleman Bastards 1 and 2) I could not wait for the third book to come out. I was so excited. This book certainly did not disappoint, either. If you haven’t read the first two books I highly suggest it. The third book introduces us to a character that until now we have only heard about in snippets of conversation (usually from Locke) – his lady love, Sabetha. The book focuses on two aspects of her, the past when Locke becomes smitten and how their “relationship” progresses, and the present day where they are thrown together in a contest of sorts by the bondsmagi. If you’re not fond of books that flip between the past and present every other chapter you may find this one no better, but I personally enjoyed the suspense of having to wait between stories to find out what happens next. In the past you’re sent off to learn about Locke, Sabetha, Jean, and the twins Calo and Galdo who are all training as… actors. That’s right, Chains has sent them off for a little while to learn how to work together in the real world. There the romance between Locke and Sabetha really comes to a head – although of course as we already know it’s been smoldering in some form ever since the two first met. I mean really FIRST met, when Locke was 6 years old. I loved this portion of the book more so than the present day trials and tribulations, but that was really no surprise as I simply adore the whole concept of their little gang of friends. In the present Locke and Jean are pitted against Sabetha in a political contest and during the contest the old flame rekindles and things start to heat up until the bondsmagi lay down some very drastic news that once again pushes the two apart. I found this incredibly frustrating because I really want the two to be together and happy! Of course what sort of book would that make.. probably a boring one. I enjoyed the tricks and details of the contest, and I really like how the two teams “fought” against one another – but I did find the details behind the whole political contest a bit drab. While the bondmagi story should be one of the ‘main’ storylines I was far more interested in pretty much everything else. Still, the book was amazing, and I devoured every bit of it. Now I just have to wait for the next one.. Hero meets anti-hero in a fast paced tale of action and adventure. Hadrian is our hero, a somewhat naive… killing machine? Turns out his father taught him to be a fantastic swordsman capable of amazing killing efficiency. Royce is our anti-hero, a jaded thief who finds the simplest solution to any problem is to kill it dead, twice over. Together they embark on an adventure – to settle a debt each owes the same man. Of course, nothing is ever as it seems, and the adventure is nothing more than a ruse to make the two “opposites” learn about each other, in the hopes both turn out somewhere in the middle at the end of it all. There is the hint that they will be needed in the future, and both will need to improve their skills to face the challenges that lie ahead. Aside from the obvious issue of the “naive hero” being a ruthless killing machine, I thoroughly enjoyed this book. It does a good job of introducing the major characters with enough left to the imagination to keep you wanting more. I had a hard time putting this book down, its very well paced and well written, and left me wanting more. Reading this book reminded me of reading an older, golden age comic book – but not the kind full of heroes with wondrous powers. Instead, it conjured memories of The Phantom, The Lone Ranger, and The League of Extraordinary Gentlemen. In fact, many of the heroes we meet are of the famous (and infamous) variety. While not always featured in the book, several characters are introduced that awaken your imagination of the era in which the story is set. Bram Stoker (and Dracula). Jack the Ripper. Einstein’s father. Indiana Jones’ grandfather! Together with the young protagonist Gideon Smith, a strong willed fisherman’s son, from a fishing village out in the sticks, the author weaves a quick-paced tale that reads like an old pulp fiction. 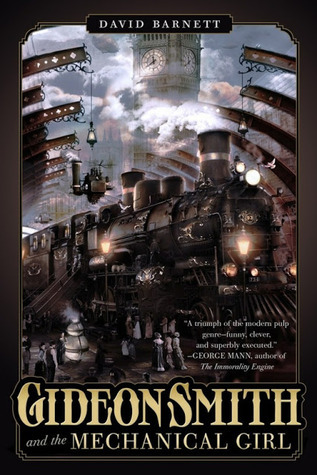 Its a fast paced tale that intertwines magic and steampunk themes, and it does it fairly well. Gideon finds himself on a mission to find help from a renowned adventurer, Captain Lucian Trigger. Along the way he befriends allies and adventurers alike, learning about himself and what it means to be a hero. Its a very quick read, but it was throughly enjoyable. As a disclaimer I was given a review ebook copy of this book in return for an honest review. I grew up reading about the adventures of Drizzt and all of his friends. They were probably some of my first fantasy genre books, and then over time I fell out of love with the writing style of R.A. Salvatore, and I stopped reading his work. I think The Companions was the perfect book to read to get re-acquainted with all of the characters, their histories, and the world in general. 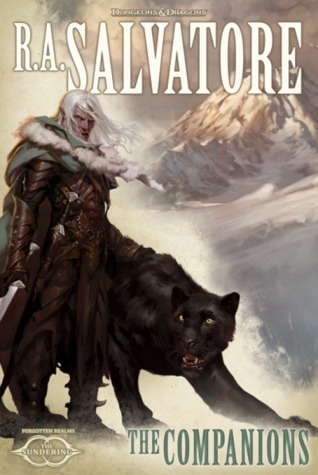 If you’ve never read any of the Drizzt books before you may think that this book isn’t for you – but not so. I think the explanations are pretty clear even for a new reader and you don’t feel as though you’re dropped into a world without knowing what is going on. It may even entice a few people to read some of the older books so that you can see how the characters used to be portrayed. Things start out easily enough, Catti-brie, Regis, and Wulfgar are sent back once more to help out Drizzt in a time of need. The story follows them as they are reincarnated as younger versions of themselves (way younger, they actually start out as infants) and then grow up in their “new” lives until they are of the appropriate age to help. You follow each character through their new trials, tribulations and amazing adventures, while they are conscience of the fact that they’ve been reincarnated – I found this a particularly neat aspect of the book. Lots of people get reincarnated but how many times are they aware of it without some branch knocking them on the head and restoring their memories and the like. 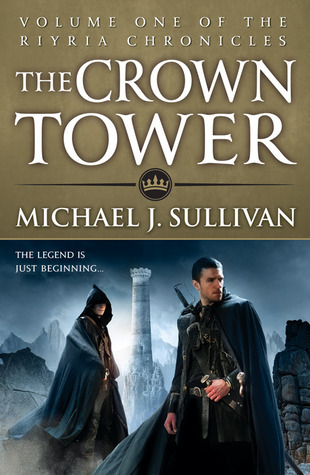 Because of this unique perspective there was tons of humor interspersed throughout and it reminded me so much of R.A. Salvatore’s earlier writing style that I couldn’t help but fall in love with the book. I’m not going to give too much more away, but I highly recommend people check it out when the book releases August 6th 2013.